MNC junk food not only makes a hole in your pocket but also in your health. As a commerce student, I heard a lot about the multinational food giants like McDonald’s, KFC and Domino’s. While I was doing my post-graduation in Commerce, I read a book titled Principles of Marketing, authored by two great Marketing thinkers – Philip Kotler and Gary Armstrong. The authors explained all the marketing concepts with many real life examples in such a way that the book became one of my favorite books in no time. That was the first time in my life I came to know about these food giants, their food products, their modus operandi, and their marketing strategies. 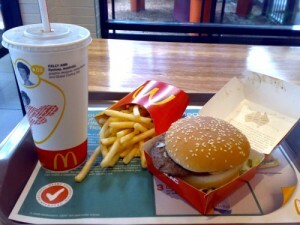 MacMeal consists of a burger, french fries, and Coke. As a person with a rustic background, I never even got an opportunity to spot a McDonald’s restaurant or a Domino’s Pizza chain. It was when I had been to Bangalore in search of a job, I found a McDonald’s restaurant for the first time in my life and out of curiosity, immediately entered the eatery without any second thoughts. The restaurant was plush and spotlessly clean. Even the kitchen looked quite sophisticated and the food is prepared in the most hygienic conditions. I bought a coupon for an Econo Meal by paying around Rs. 100. They placed three items in a plastic serving platter – a burger, a small paper bag full of french fries, and a tumbler full of chilled coke. The burger was tasty, the french fries were crispy and tasty and the Coke, of course, tasted good on my tongue. 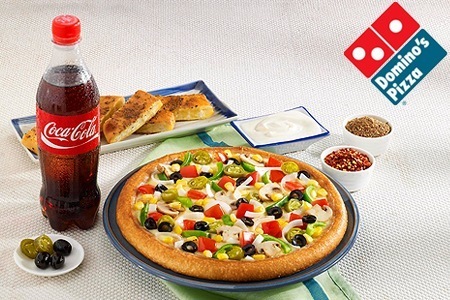 The next time I came across another multinational food giant was when I, along with my wife and little daughter, entered Domino’s Pizza chain in Secunderabad. Just like at McDonald’s, even here we saw a plush and spotlessly clean dining hall. It took a while for me to understand their menu and prices. The prices, being a person from a middle-class background, appeared very high to me. I ordered a pizza by paying around Rs 350. They served the food in cardboard boxes. They served us a small-sized pizza, some Garlic breadsticks, and a 600 ml chilled Coke bottle. My wife, who was initially very enthusiastic to taste the pizza, looked very much disappointed after taking a few bites and reluctantly finished her share of the pizza. Domino’s Pizza is not only expensive but also a pure junk. The US-based food giants mostly cater to western food habits and serve junk food. The food they dish out is full of carbs and they are mostly fried. If we take the example of McDonald’s Econo Meal, the burger is made from super refined white flour, the French fries are made from potatoes and, of course, the coke is simply carbonated sugared water. There is hardly anything nutritious in it. Even in case of pizzas the crust is made from super refined white floor, and it also contains a bit of cheese and a disproportionately small quantity of vegetables. These food giants spend a lot on brand building and once they become popular and gain wide acceptance, they start skimming the market with their very high prices. The food they serve doesn’t cost much, but the diner ends up paying a lot for their brands. There are many studies which reveal that the carb-rich food sold by the multinational food giants is, to a great extent, contributing to the obesity among people, especially children. We, the people of India, have a very healthy food tradition. We use grains like rice and wheat, and millets like Ragi, Bajra and Jowar, and pulses like red gram, green gram and black gram, and most importantly vegetables as our staple diet. They are not only nutritious and fat-free, but also help us in having a balanced diet. However, after the emergence of the MNC food giants, the food habits of the urban people are gradually changing and the carb and fat-rich food, coupled with the excessive pollution, is taking a heavy toll on the health of the urban Indians. Indian food traditions are based on ‘real’ food. Real food in the sense we collect various edible natural raw materials like grains, millets, pulses and vegetables and cook them without any artificial ingredients and eat them hot. However the food sold by the fast food chains is processed, is carb-rich and contains hardly any nutrients. There are many allegations that these companies don’t state exactly what kind of ingredients they use in preparing their proprietary food. Some food and nutrition experts reveal that these companies, to get the intended taste, to increase the shelf life, and to maximize their profits, add some ingredients which are harmful to the health of the consumers. This entry was posted in Health and tagged burger, carbs, Domino's, food, Indian food, junk, McDonald's, MNC food giants, nutrients, obesity, Pizza, real food on November 19, 2015 by Dr. Ramachandra Reddy.